2017 has taught me SO much about makeup application and what formulas make a good product. YouTube and Instagram are where I find most of my inspiration. And ever since Instagram became super popular and a huge influence on the beauty industry, each recent year has had obvious trends in makeup. I am so bored of seeing the dark, boxy, angled brows that Instagram beauty junkies made famous. Are they fun for photos and dramatic looks? Sure. But they’re too overdone for my taste, and I love something softer. I’ve pretty much left my brow pomades to collect dust, as pomades give that dark sharp look. Pencils and brow powders have been my go-tos for a soft feathery brow. I want a more natural looking brow, so Buh Bye Insta-brows! If it’s heavy and full coverage, it’s probably being left in 2017. Instagram makeup is again to blame for flawless, artificial looking skin. I want to see some flaws, some freckles. I want my skin to look like skin, not necessarily like I’m wearing makeup. Dewy sheer-to-medium coverage foundations have my name on them. The “no makeup” makeup look is beautiful to me so full cakey foundation has to go. All over social media, especially YouTube, super bright concealers are the expectation. The reality is, it doesn’t look natural and it doesn’t photograph well. Ask any makeup artist: under-eye concealer should be 1-2, MAYBE 3 shades lighter than your skin tone. I’m seeing concealer applied that’s like 5 shades lighter! It looks cakey and dry, and it looks harsh. That look can stay in 2017. Contouring can definitely stay in 2018, my face is round - I need it lol. 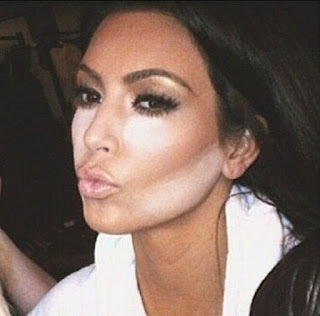 But the technique of layering on a dark stripe of powdery cool-toned contour should be buried. Now, cool-toned contours work for more fair or more deep skin tones than mine. But for my Medium-Deep skin, a warm (but not orange) contour is the most flattering and it doesn’t look muddy. I also find that cream contours look wayyy better than powder. I want my face slimmed, but not chiseled - so a warm cream contour will give it to me. Ardell Wispies and Demi Wispies had their moment, but it’s on to better things this next year. And that’s Faux Mink lashes. If you’re a falsies fiend like I am, you KNOW how essential they are to completing a makeup look. I am obsessed with how natural and comfortable Faux Mink lashes are. And because the band is thin (not “invisible” but thin) brands really get to be creative with different lengths and styles while still having the lash look pretty natural. 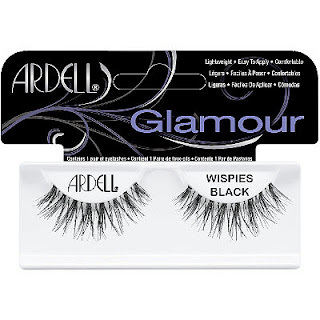 My favorites right now are Ardell 811’s and Flutter Lashes Air Light Collection. 2015 & 2016 were the years of the dry-matte liquid lips. Liquid lipsticks were revolutionary back then because they literally stayed on all day and didn’t transfer. But the drawback was we were left with parched cracked lips. Even though formulas have really improved, I was never the biggest fan, I usually stuck to a matte cream lipstick because it’s more comfortable. All around I can tell the beauty community is bored with matte lips, and glosses are making a huge comeback! I’ve always been a gloss girl, and I’m so happy juicy glossy lips are here again. The trend is a trick drag queens have been doing forever, but baking the under-eye with powder was a huge mainstream thing in 2016 & 2017. It’s a technique that’s used to prevent concealer (or foundation really) from creasing and helps it last all day. Maybe it’s because my eyes are big and I have the bags to match some days, but baking left my under-eyes very very powdery looking. I still set my concealer with a powder but I do a light sweep, instead of literally caking on powder, and it works just fine. Baking done wrong gives you the “raccoon” look and causes a white-cast in photos. So this technique isn’t joining me in 2018. 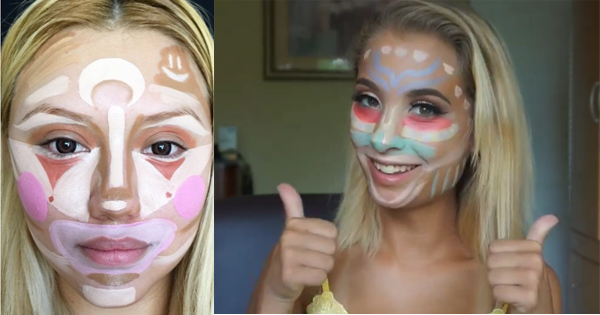 This is another technique used by makeup artists since forever but got weirdly popular over the past year. If you’re like me and your skin tone is pretty even and your acne is minimal, you don’t need this step. Color correcting is for those with prominent discoloration, acne blemishes or scars, and dark circles or dark spots. If foundation and/or spot concealing hides any skin problems, you don’t need to color correct. If you feel you need it, by all means. But those with clearer skin don’t really benefit from this technique. I hate long nails, always have. So in 2018 you’ll find me with short to medium length nails. Long claws is more of a Twitter trend than anything but it’s one I’m leaving alone. I am very rough on my hands so I just can’t be bothered about losing or chipping a nail. With that, unless I’m wearing (short) acrylics - I’m over nail art. Not much is original anymore so you’ll catch me in solid colors. I’ll be the first to say, I’m feeling pretty overwhelmed with all the cut-creases, glitter eyeliner and halo eyes on social media right now. They’re relatively easy to achieve, but these eye trends are allll I’m seeing lately. That’s not to say I won’t be rocking these looks in 2018, but I have a feeling I’ll get sick of looking at them really fast. I’ve been drawn to “reinventing” the smokey eye. 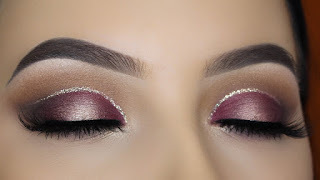 With all the warm toned and colorful eyeshadow palettes coming out, it’s fun to see a classic look done in new colors. But for day-to-day you won’t see me wearing an intense Insta-eye, I’ll be wearing something softer and more smoked out. A lot is being left in 2017 but trends are always changing so I’m sure everything will eventually be replaced. What makeup looks are you leaving in 2017, and what are you looking forward to seeing in 2108?